Corporate social responsibility (CSR) is collectively defined as a company’s continued commitment to improve the economic development and well-being of its communities, while also maximizing shared value for the business, employees, and shareholders. CSR is not required to operate a business but it has become a standard business practice over the years, giving those with a genuine commitment to CSR a substantial advantage over their competition. A few years back I read a book called Good Company: Business Success in the Worthiness Era where they talk about this positive (and statistically significant) correlation between corporate sustainability and financial performance and that companies shouldn’t view them as competing goals. Companies that make socially responsible decisions—and are recognized and rewarded by relevant stakeholders—can often see a stronger consumer demand and higher employee productivity which in turn yields a stronger financial performance. There’s a deep connection between a company and the way it treats its stakeholders. Is it providing its employees with a livable wage, health benefits, a retirement plan? Is it being transparent with its shareholders? Is it engaging and supporting its communities? Is it remaining profitable? Research has shown that consumers are more likely to do business with a company that has sustainable strategies in place. They’re more likely to shop with you, seek services from you, and most importantly, refer you to friends and family. These three things increase your company’s resiliency and ensure the probability of long-term survival. And just like consumers, potential employees also look at a company’s culture and overall mission. It’s no surprise that employees like working for a company that’s committed to improving the local community. This leads to productive, engaged, and creative employees who are more likely to stay with the company longer. For us at Heritage Bank, we believe in empowering our employees and providing them with opportunities to engage and give in the communities they’re a part of. By doing so, it elevates our philanthropic and corporate social responsibility recognition throughout the region, helping us to forge even stronger and deeper relationships with our customers and enhance our reputation as the leading community bank in the Pacific Northwest. Through doing good—and a culture that fosters giving—we will resonate more with our customers, leading to potential for growth and financial strength. Kristen Connor is the senior vice president – community impact officer at Heritage Bank. She has more than 13 years of experience in the commercial banking field, with expertise in business development and portfolio management for commercial and nonprofit businesses. 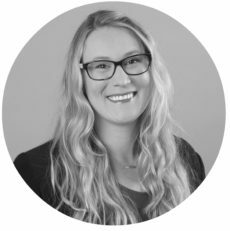 Kristen is active in her community and serves as a board member of the Oregon Law Foundation and Jessie F. Richardson Foundation. She also volunteers her time with EarthShare Oregon, Off the Sidelines, and Corporate Sustainability Collaborative.